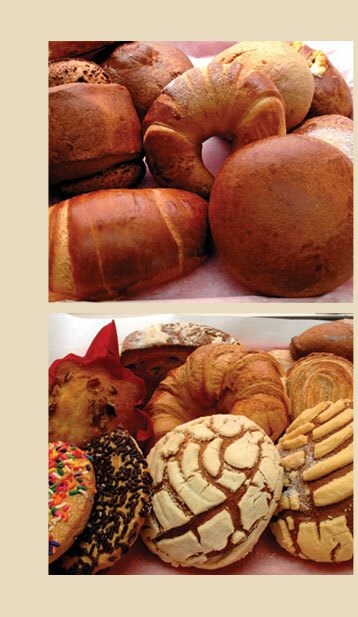 La Mexicana Bakery is a family-owned, full service bakery located in Danbuty Connecticut. As full-service bake shop, we provide a variety of baked goods for purchase at our retail store: Custom cakes for in-store pick-up, amazing wedding cakes, as well as Birthday, Sweet Sixteen, Baptism, Baby Shower cakes, etc. Our bakery store opened for business in Danbury CT in January of 2000 and we have been growing every year since. Our retail bakery shop is filled with fresh-baked pastries, scratch-made cookies, crisp scones, favorite cakes, cupcakes and mexican bread such as: Sugar Cookies, Pan de Canela, Empanada de Piña, Conchas, Orejas Jamoncillo, Pan Goloso, Pan con Queso, Pan de Panela, Cuernito con Queso, Pan Integral, Pan dulce con Ajonjoli, Pan con Jamon y Queso and more, all ready to eat here with a great FREE cup of coffee!, yes you can have a FREE cup of coffee with every purchase. All of our baked goods are available for custom ordering for any occasion. From engagement parties and baby showers to kid's birthday cakes and anniversaries of all kinds, we are happy to provide just the right combination of our wonderful pastries, cakes and desserts to make your celebration memorable! Coming soon. Fresh, Cold and delicious Natural Fruit and Vegetables Juices as well as Ice Cream. Italian Ices, Snow Cones (Raspados), Banana Split, Milkshakes, Chamoyadas, Skimos, Diablitos, Monjitas, Cholados, Batidos, Protein Shakes, Pepinos Locos, Sandia Loca, Piña Loca and Poweful Smoothies.